AK: How did the Timbers’ Army get its start? What won the hearts of Portlanders in that first year? MO: In the Timbers’ inaugural season of 1975, there was no official supporters group. A booster club was founded before the 1976 season started, by a group of dedicated fans who fell in love with the team during the ’75 season. Several factors led to the winning of Portlanders’ hearts in ’75, not the least of which was a very successful team. The Timbers only lost one game at home all year, the season opener, and played an attractive, offensive-minded style that appealed to even the newest of fans. The club also arranged for post-game parties at downtown hotels, allowing fans to meet and visit with their favorite players. This accessibility gave the Timbers players an approachability not often found in professional sports. The winning, the scoring of goals and the ease with which the players fit into the community combined to bring fans out en masse during the summer of ’75. AK: Many of the 1975 Timbers were from the United Kingdom. What were their initial impressions of the Rose City? 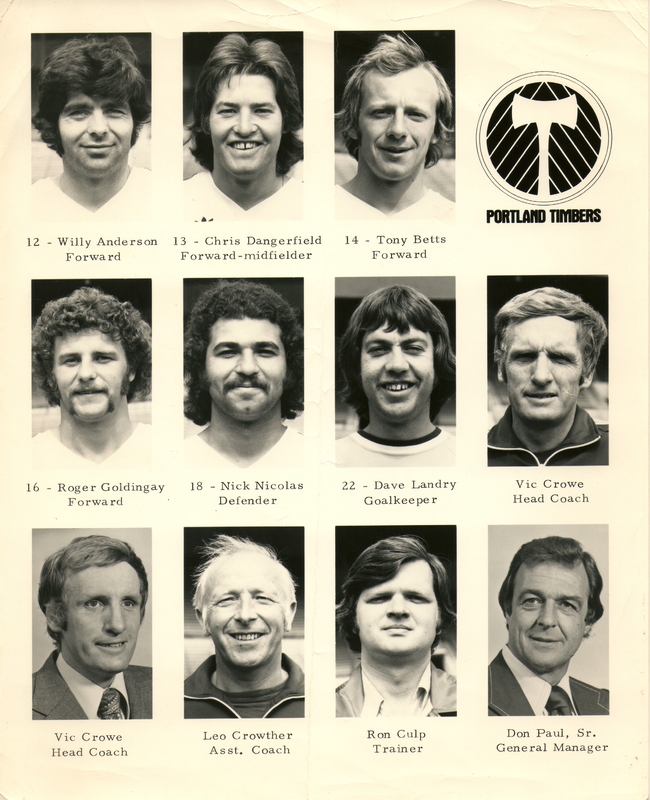 MO: Most of the British players on the ’75 Timbers team had never before visited the United States, so Portland was their entry into the country and their first experience with American culture. With mild summers and low humidity, the playing conditions in Portland were ideal for players who just emerged from a long winter of English football. 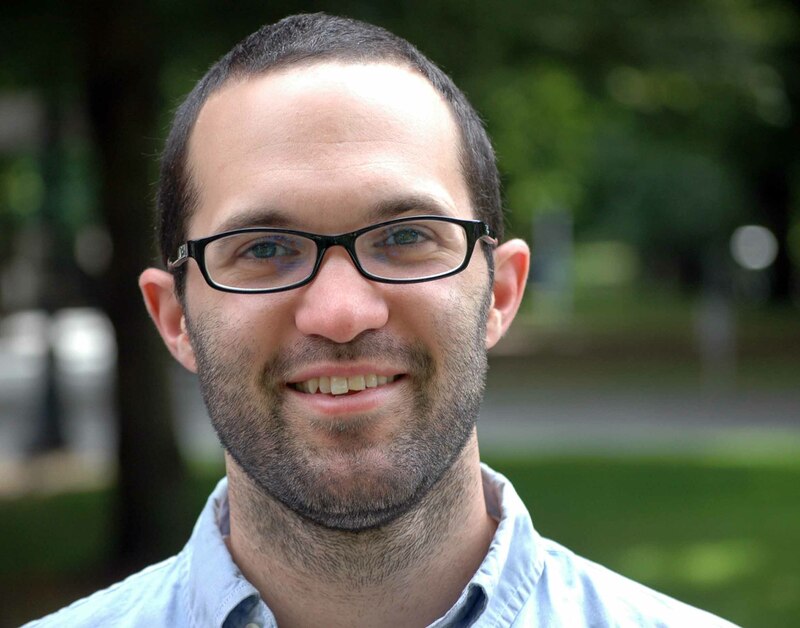 Some differences in lifestyle were quickly evident: notably the size of cars, the distance between cities and the understanding of their chosen profession. But every player has remarked that Portland was a special place, a city where they immediately felt at home and were much more easily able to acclimate. The small-town feel of the city in those days appealed to players who were used to the very local nature of their hometown cities and clubs. The evidence of the love between players and city is in the number of players from the original team, five of seventeen, who still live in Portland today. AK: What drives your interest in club history, and what is FC Media? MO: I grew up watching baseball, basketball and football, each of which celebrates the history of their teams or schools. Great players of the past are remembered, even if no one living saw them play. Professional soccer in North America has a fascinating history, much of which has been ignored or underutilized in the stories of modern clubs. The Portland Timbers are among a unique group that can date their history to the 1970s and there are many names, stories and visuals that have been forgotten over the years. FC Media was created as a conduit for bringing that history to the fore and connecting a club’s past with its current manifestation. We created an exhibit at the Oregon Historical Society to showcase physical items from the Timbers’ 1975-82 era and remind fans that the current Major League Soccer club only exists because of the exploits and efforts of those who came before. To me, club history, whether with the Timbers or others, is a way to provide intergenerational continuity to a sport where it is often lacking. AK: What makes Portland Soccer City, USA? MO: Soccer City, USA is a term coined by the Timbers’ original General Manager, Don Paul. He was quoted ahead of the Timbers’ second-to-last regular season home game in 1975, the Timbers’ first sell-out of 27,000 fans, saying that the capacity crowd would show the visiting Seattle Sounders exactly which city was truly Soccer City, USA. From that day forward, Portland has been a city that has embraced both the Timbers and the game of soccer in a unique way. Part of that is inherent in the mentality of Portlanders who are extremely proud of their hometown players. Part of it has come from an amazing fostering and growth of the game, first through the Timbers and then through players and fans who have carried on the Timbers’ traditions in youth and collegiate programs. Despite losing the team on more than one occasion, the Timbers’ name has always returned when professional soccer reemerged, and the crowds have always followed. AK: How bitter is the rivalry between fans of the Seattle Sounders and the Portland Timbers? MO: There is no more bitter rivalry in North American soccer. The matches between the Timbers and Sounders require separate entrances and police protection for visiting fans, and the Cascadia Cup, a trophy between the Timbers, Sounders and Vancouver Whitecaps, is acknowledged as the most prestigious cup competition among North American supporters. Even in 1975 this rivalry was intense as the teams played four times, including a famous 2-1 overtime victory for Portland in the NASL quarterfinals. Sounders manager John Best said before their third meeting of ’75: “Seattle playing Portland has become as heated as any neighborhood rivalry in England. It’s Liverpool playing Everton. After they beat us, Portland celebrated all night. It was a victory for the whole town. And in Seattle, everyone has been saying how they’d show Portland who had the best team next time. It’s what real soccer should be.” That explanation could easily have been said by Timbers manager John Spencer, of the matches in 2011. AK: How has the Timbers team changed since that debut season in 1975? MO: The Timbers are in their fourth iteration, since their founding in 1975. The NASL era lasted through 1982, the Western Soccer League/American Professional Soccer League era came between 1989 and 1990, the A-League/United Soccer Leagues era stretched from 2001 to 2010 and the Major League Soccer era began in 2011. Gone are the days of unsponsored jerseys, terrible artificial turf and the importation of dozens of British players. The Timbers today operate as one of nineteen MLS clubs in a league growing from its debut in 1996. In the earliest days, most players were simply on loan from British clubs, due back in the UK at season’s end for their ‘real season.’ At present, the Timbers are able to lure players from not only the UK but also from Colombia, The Gambia, Ghana, Haiti and other countries around the world to complement the healthy number of North American players. Though the specifics of the league and team have changed, the ethos has not. The Timbers are still connected with the Portland community in a way that creates fans of the people, not just the players and coaches. The Timbers have remained relevant and successful due to their ties with the city and their embracing of its culture. AK: For the uninitiated, can you describe the experience of a soccer game? MO: The experience of a soccer game depends greatly on the location, fan support and stadium of each particular team. In Portland’s case, the Timbers play in an 85-year old downtown stadium with a supporters group that numbers in the thousands. Supporters line-up to get into Jeld-Wen Field two or three hours before the game starts, snaking around the stadium, regardless of the weather. An hour before kick-off, the Timbers Army begins chanting and singing, leading to a crescendo as the match kicks off. Throughout the ninety minutes, the 4000-strong Timbers Army stays standing, singing songs that support the Timbers and disagreeing loudly when the referee dares make an incorrect call. When the Timbers win, celebrations last long into the night. When the Timbers lose, the Timbers Army welcomes the team into the North End of the stadium to applaud their effort on behalf of the club and city. Not every experience is similar; in fact many are quite different. Yet these are the traditions in Portland that have helped bring the club up from the second division and into MLS. The game itself is fast-paced, tactical and wonderfully skillful, regardless of the environs. AK: What are you looking forward to next season? MO: 2011 was an important year in the history of the Timbers as the club entered MLS and played a difficult 34-game schedule. Though Portland narrowly missed out on the playoffs, there are a number of players and coaches upon which the club can build. As the 2012 season approaches, I’m looking forward to seeing how the club takes the weaknesses from 2011 and augments the team so it can be more successful in 2012. I was able to attend twenty-two of the thirty-four games last season, so the absence of games during the offseason has been hard to endure. But regardless of how well the team performs, I’m just looking forward to supporting the team, enjoying the stadium and watching what is an amazing game. The 1975 Portland Timbers: The Birth of Soccer City, USA by Michael Orr will be available in spring 2012.